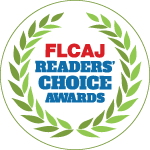 Last year we won the FL Readers’ Choice Award Platinum. This year we are shooting for DIAMOND! Vote for us and I’ll be forever grateful… well, until next year when we will ask you to vote again. It honestly takes one minute. Thank you!!! Click here to vote for us!